What Is Maple Leaf Up? 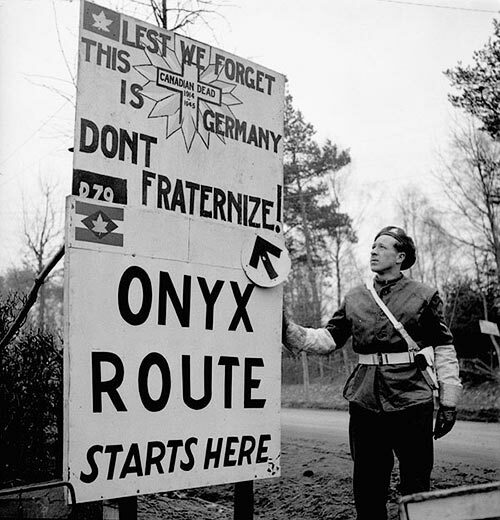 The term MAPLE LEAF UP was posted on road signs staked along the fractured highways that pointed the way to the ever-shifting Canadian front lines in the ground battles for Northwest Europe. 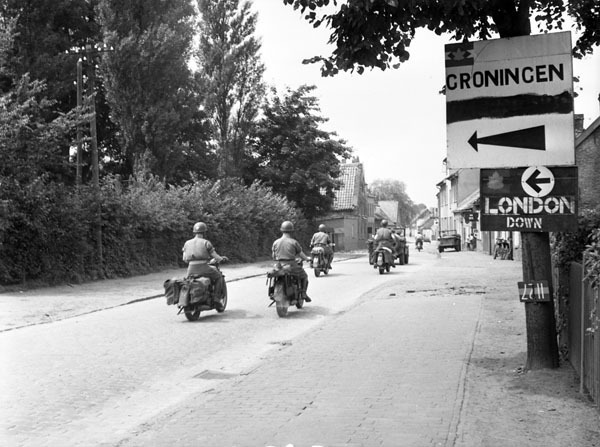 These routes were crucial logistical arteries extending from the Normandy beaches deep into Belgium, the Netherlands, and eventually Germany itself. Scores of supply trucks carried their essential cargos — food, ammunition, fuel, weapons, reinforcements — UP to feed the cutting edge of Canada’s first and only field army — First Canadian Army. Returning from that weary front, returning to the rear along that same route — in the direction now appropriately marked MAPLE LEAF DOWN — trucks and ambulances full of wounded gently coursed their way past pockmarks and shell holes, back to offload and re-supply with fresh rations, ammunition, soldiers. It was a cycle that would make them turn again and head UP to feed the unrelenting demands of a field army at war. The title, perhaps, requires a brief explanation. 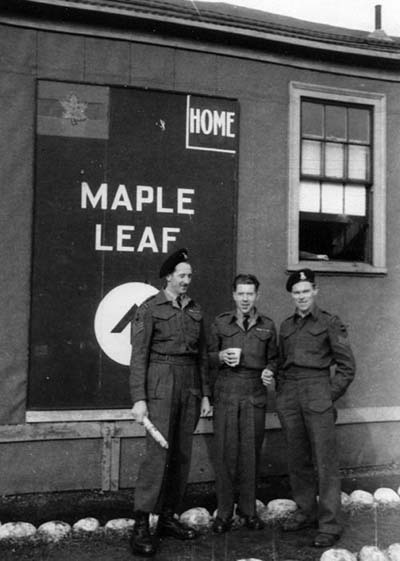 “Maple Leaf Up” was the name of the main route to First Canadian Army during the whole Western Europe operation. To get to the First Canadian Army, one followed the painted maple leaf or written words, MAPLE LEAF, plus the word UP; to get back to the rear areas, away from the army, one followed the maple leaf signs, plus the word DOWN. The tanks and vehicles loaded with supplies and reinforcements for the army rolled along MAPLE LEAF UP; the empty trucks and full ambulances rolled along MAPLE LEAF DOWN. Peter Simonds happened to be the brother of Canadian 2nd Corps Commander Lt-General Guy Simonds.